We dyed our hair black once and let's just say it wasn't exactly what we expected. It was also quite the learning experience. Prior to this slight hair-tastrophe, we were unaware that stripping your hair of black dye is nearly impossible. No seriously, it's really hard to do. It took numerous trips to the salon (and lots of dollars) to get all the black dye properly peeled from our mane. It's not something we ever want to experience again. Whether you intend on dying your locks for a special day or an impromptu minor makeover to enhance your costume, heed our advice and use this deluxe black hairspray. Trust us, your gorgeous strands will thank us later! 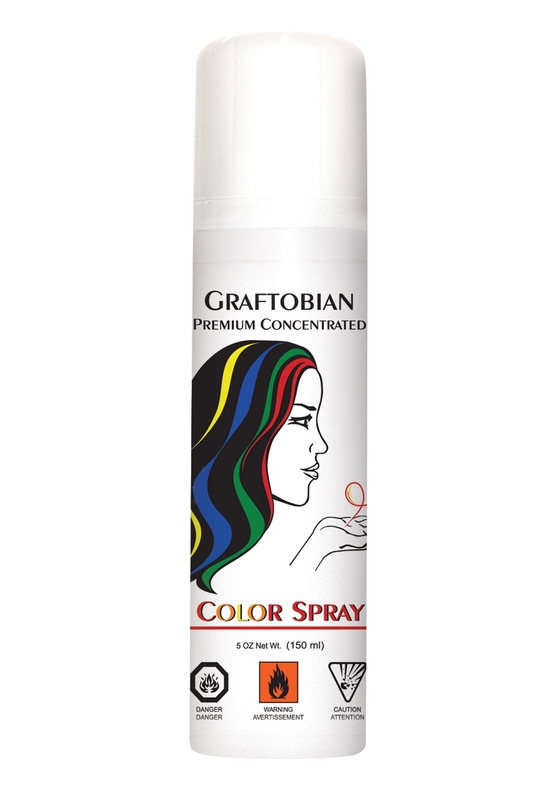 The black deluxe hairspray is packaged in a convenient aerosol can and contains 150 ml of the temporary product. Hold it approximately 10-12 inches away and spray it all over your hair until you get the desired shade of black that you want. You'll have a ravishing new look that easily disappears after one hair washing. Whether you're experimenting with a new Gothic look or planning on using it to enhance a Cleopatra, wicked witch, flapper, or Native American costume, this hairspray is essential. Give it a whirl and let us know how you like having raven-colored hair!